During the ceremony when the couple is just standing and listening, I like to look around to see what the guests are doing. Almost always, I can find someone who is doing something interesting. 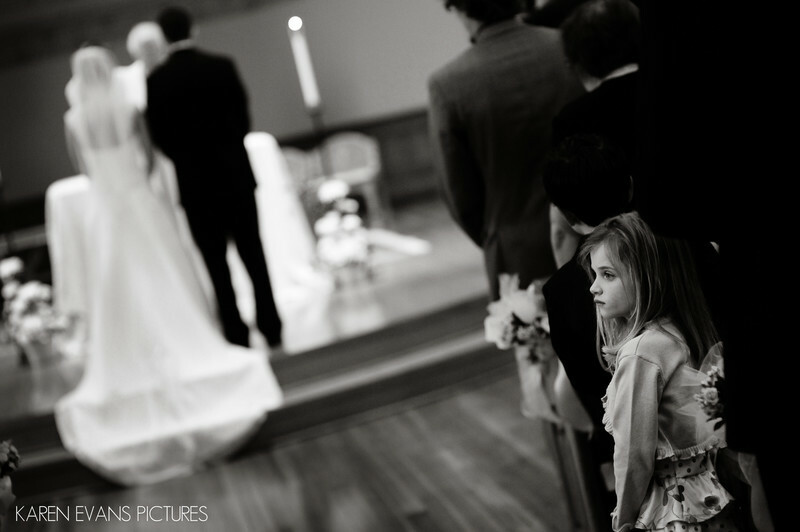 In this case, this little girl staring off into space is my subject, with the bride/groom in the background, perfectly telling the story.Keywords: st francis of assisi (6).